Let’s talk about feelings today. What does it mean, when a director manages to make us feel something by choosing the right title song? In our recent Berlinale review, NOTHING BUT HOPE AND PASSION took a closer look at the meaning of music in this year’s films, seeing the multilayered medium of film as a culmination of many art forms, with scores and soundtracks as an inherent part of it. Let’s talk about feelings today. What does it mean, when a director like Wes Anderson manages to make us feel something by choosing the right title song? How important are title songs to the perception of a whole film? And how do they shape our memory of a film? 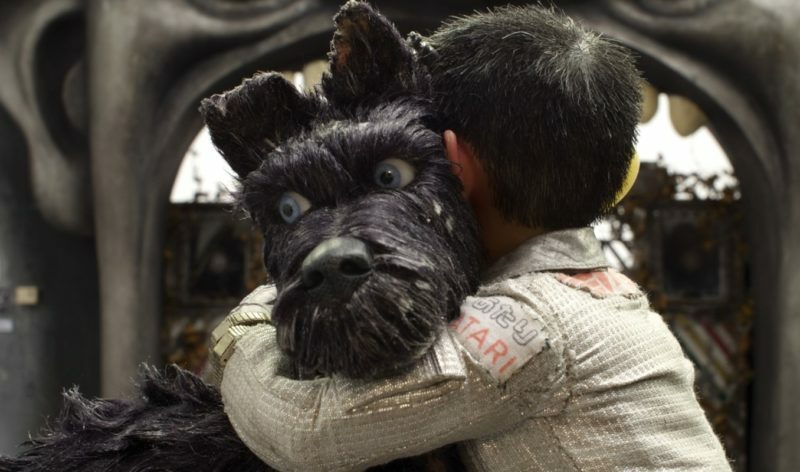 In his new animation Isle of Dogs, to be released in April and May across the globe, Wes Anderson proves yet again that it is absolutely key to transmit certain feelings and sympathies by choosing the right music. Not only with Alexandre Desplat’s score, influenced by traditional Japanese music elements such as the impressive sound of taiko drums, to build suspense and accompany the antagonist’s wrongdoing. At the very heart of the film is I Won’t Hurt You by the West Coast Pop Art Experiment Band, singled out as the only pre-existing song to transcend into Anderson’s animated world, where the barking of dogs is perceived as English. The song is first played in the second part of the story, when a little pilot and a reluctant dog set out on a quest together. They are bound together by fate, but somewhat indifferent towards each other. ‘I won’t hurt you, I won’t hurt you.’ Repetitively humming the same words over and over again, the mellow song is a foreboding of what is yet to happen. It already tells the story of friendship before the story of the film does. On their journey to save another dog called Spots, the two protagonists learn to trust each other and become the best of friends. At the same time I Won’t Hurt You is suddenly a song about a growing friendship, about loyalty and trusting one another. A hymn to friendship. The meaning the film gives to the song stays with the song long after, even days and months after seeing the film on the big screen. In the end, the film adds back to the music, reminding the listener of the feelings they felt when experiencing the song for the first time within the film. The connotations are changed, and thereby also the meaning and memory of a song, evoking the same feelings the characters felt. The right music will make a film so much better. But the right film will also make music much greater. Another example for the same phenomenon at last year’s Berlinale, probably also the greatest highlight in terms of an amalgamation of film and music at the film festival in 2017, happened to be Call Me By Your Name with Sufjan Stevens’ Mystery of Love, which will forever continue to take us back to those Italian summer days, blue skies, swims in the sun and experiencing all-consuming young love along with the protagonists. The Doveman Remix of Futile Devices will forever invoke the nervousness of unfulfilled desire, while Visions of Gideon brings back a melancholic awareness of having felt too much and love slipping away between your fingers. Title songs make us feel the melancholic pain of lost love all over again, or remember the importance of friendship – that’s the true power of merging music and film.